I was a very happy chappy when I visited the Aldi supermarket in Koblenz. On the shelf I spotted a bottle of Apfelwien, or in English, cider. During the last 18 months of traveling cider has not been easy to find. Now and then I’ve come across Strongbow for sale, but it is always overpriced and these days it is over sweet. This cider on the other hand was clean, clear and slightly tart. While it may not win any awards it was a decent drink. 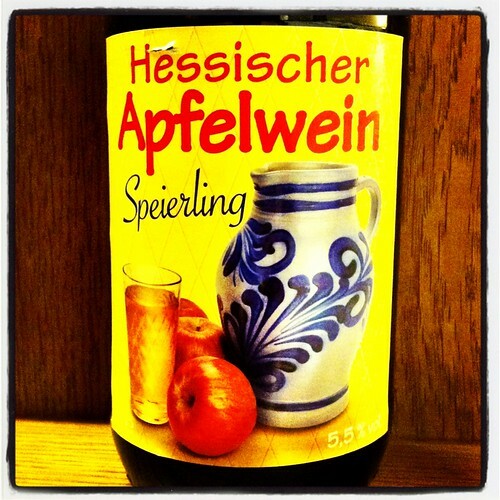 This entry was posted in Cider Adventures and tagged Hessischer Apfelwein on March 18, 2014 by Richard.